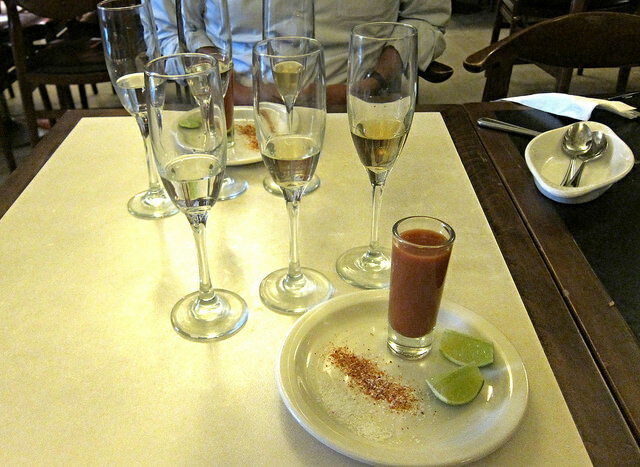 Recently I tasted through Tequila Partida‘s three expressions with Master Distiller Jose Valdez. There is a fourth expression, an extra anejo but it’s rare and hard to find. As Jose walked me through the tasting, he mentioned a few things I thought was very interesting. First, you pick up your glass, swirl around the tequila and watch the legs. Notice the viscosity? That’s all natural. 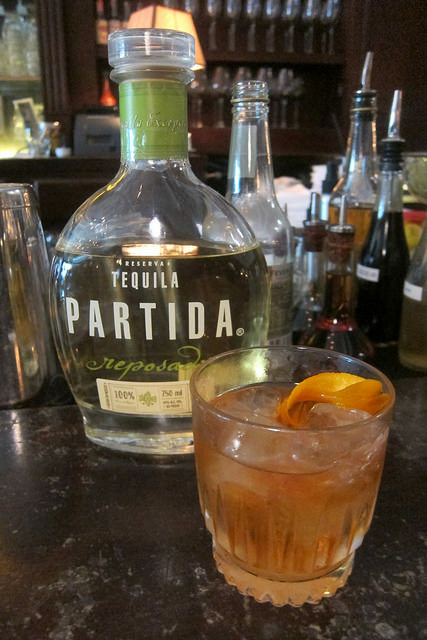 Partida does not add any glycerin to its tequilas. Partida also does not use any coloring. Some other tequilas might do that to achieve a consistent color. Jose said they sometimes blended older tequila in for that consistent color but it is not food dye. Next, you’re going to want to smell it. I’d like to remind people to smell with your lips slightly parted otherwise you’ll get a harsh alcoholic burn. However, Partida is quite smooth. Now look at your tequila again. Feel that anticipation of your first sip? And after your first sip? That’s the Fulfillment of the Promise. We repeated this process with all the expressions. I was surprised to find I preferred the reposado best. I think the blanco would be great for mixing in a Negroni. 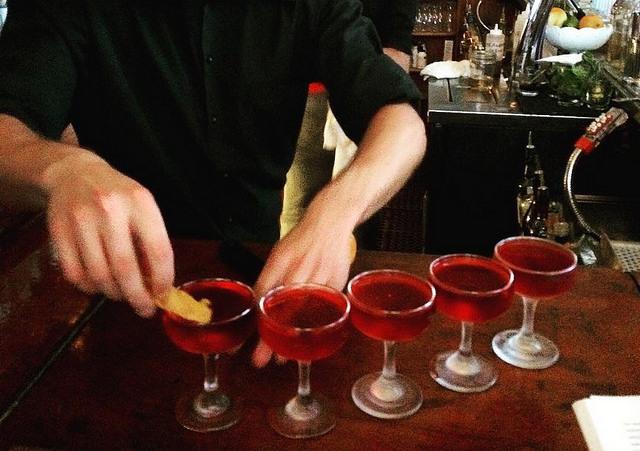 And normally I’d even mix with repos, maybe in a Manhattan style drink or Old Fashioned Cocktail. But now I think I rather sip on the reposado. Perhaps my palate is changing. Jose mentioned the reposado is very popular with bartenders. I liked the anejo but found myself comparing it back to the repo. Anejo is my lighter than I imagined. It’s probably because it’s been aged longer than the bare minimum requirement for aged tequilas. I also recently went on a Tequila Partida bar crawl, starting with drinks at Mas Malo, I requested the Senorita Angelina with Partida. The blanco works perfectly with this tart drink. Another great option is to use Partida in the Pinata Smash. 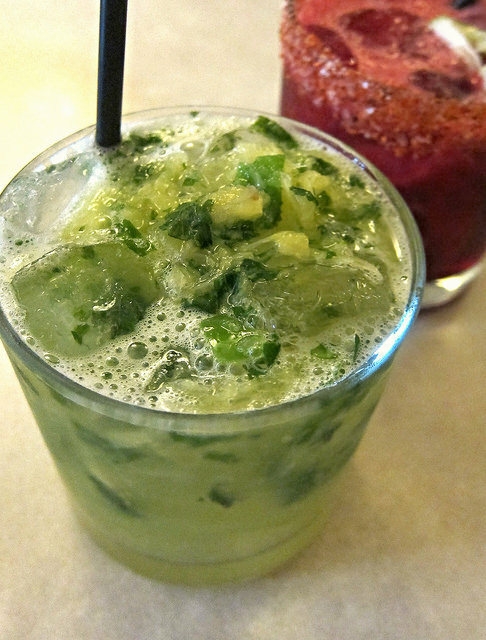 The freshness of the cilantro works really well with the fresh notes in the blanco. I described the blanco as “green.” If you can describe a flavor as being a color, that’s the blanco. 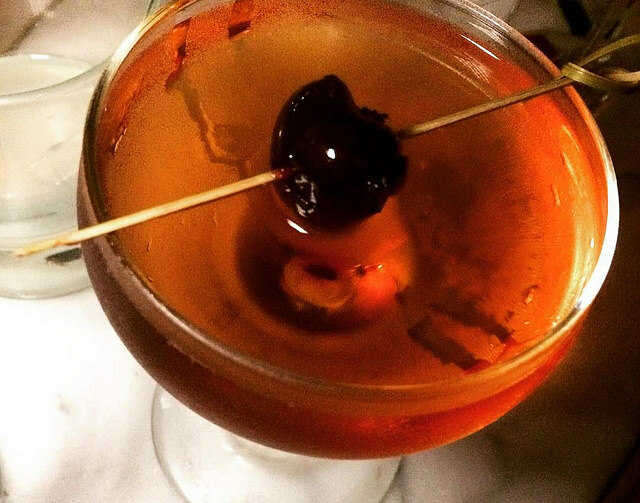 Heading to the Eastside, check out the Old Fashioned at The Black Cat bar. The reposado or even the anejo would work in an Old Fashioned Cocktail. I tried it with the repo. Then bouncing over to Big Bar, I tried a Manhattan with anejo. I like playing around with the specs of a Manhattan with tequila, rum and other non-whiskey spirits. I find aged tequilas work really work while you might have to scale the vermouth back when using rum. 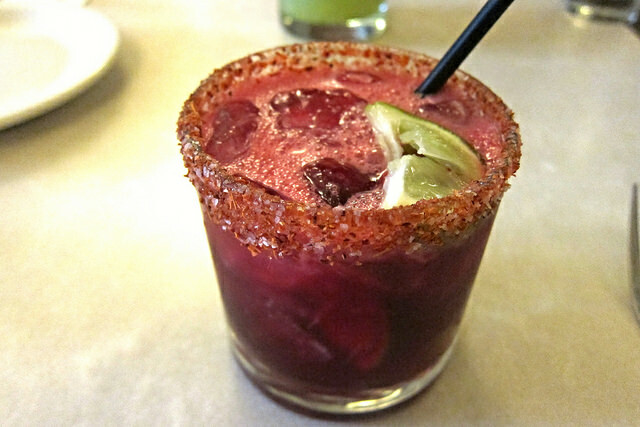 We also checked out Little Dom’s where we had Tequila Partida Negronis. Try subbing in tequila in any gin cocktail to see what you think. The tequila works well because it has similar vegetal/ botanical notes as gins. This entry was posted in alcohol education, alcohol tasting, bar crawl, bar stories, bars, bartenders, cocktails, history, hot bartenders, la, la cocktails, los angeles, spirits, the minty and tagged bar, bars, big bar, black cat bar, brand depletion, drinkwire, la cocktails, little dom's, los angeles, manhattan, mas malo, master distiller jose valdez, negroni, old fashioned, partida, tequila, tequila partida, the minty. Bookmark the permalink.